On July 15, plastic ban came into effect in Uttar Pradesh. It became the 19th state to ban manufacture, sale and possession of plastic. But announcing the ban is not even half the job done. Following it up with measures to facilitate the transition from plastics is the most crucial factor that decides its success. So far, several states have failed to implement plastics ban due to reasons more than one: lack of cost-effective alternatives and proper system to ensure segregation and disposal of plastic waste. In many cases, plastic bags seized and collected were disposed of along with municipal waste, and finally, they found their way into dumpsites. States have also not been able to crackdown on unregistered plastic manufacturing units. The challenges for Uttar Pradesh will not be any different. This is for the third time in the past three years that the ban has been imposed in the state. 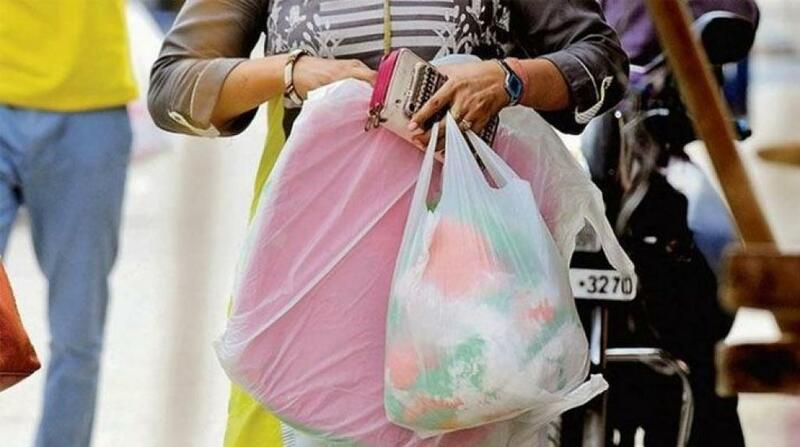 Based on the directions of the Allahabad High Court in 2016, the Uttar Pradesh cabinet approved a statewide ban of manufacture, distribution and sale of polythene carry bags of below 40 microns. The ban was once again reinforced in 2017, but that did not stop the use of polythene bags in the state due to lack of formulation of rules. The latest ban, unlike the previous ones, has a provision of penalising those who manufacture sale and use plastics and its products. First-time offence: imprisonment for one month and fine not less than Rs 1,000, which can go up to Rs 10,000. Second-time offence: imprisonment for six months and fine ranging between Rs 5,000 and Rs 20,000. Repeated offence: imprisonment of one year and fine not less than Rs 20,000 and maximum of Rs 100,000. How to make this ban work? How to dispose of the seized plastics? How to ensure availability of alternatives to the banned plastics? How to monitor implementation and compliance? To implement the ban effectively, the government has to answer these fundamental questions. The authorities can create an example by co-processing non-recyclable plastics seized. This would be the best tool to convince users and manufacturers to comply with the ban. Other community-led initiatives to bring about the behavioural change, which creates a sense of ownership among the users, are to be introduced. Maharashtra, for example, has started mass campaigning of the initiative, its benefits and penalty provisions. While the present crackdown on plastics may reduce the usage for the moment, there is every possibility of them coming back to the market, unless the alternatives are made available fast and unorganised manufacturing units are not closed down. Karnataka has a ban on plastic since 2016, with a hefty penalty clause for manufacturer, seller and user. However, the use of plastic carry bags is widespread and clogging of drains due to these bags is a common story. With so many examples of wobbly implementation of ban, Uttar Pradesh has to ensure availability of eco-friendly and economical alternatives. Currently, increased demand for alternatives to plastics and their inadequate supply causes their prices to spike. To address this issue, the state government has to assist mass domestic production. Transparency in levying fines and continuous monitoring would also go a long way in making the ban successful. For example, in Mumbai, BMC (Brihanmumbai Municipal Corporation) held a training session on implementation of plastic ban for over 200 officials from the license, markets and encroachments departments (enforcement agencies on ground). While levying fines, the officers would note PAN or Aadhaar number of the offender to maintain transparency. Uttar Pradesh plastic ban does not address the larger problem of poor waste disposal systems in existence. Effective systems have to be institutionalised to handle plastic waste that is already generated. Government has to clarify on what users will do with plastic bags in their stock. Will it be legal to keep the existing plastic bags at home for reuse or will government come up with a collection system to efficiently collect and recycle them? For a state like Uttar Pradesh, which generates over 130,000 tonnes of plastic waste annually, answering these questions is essential to ensure that enforcement is not patchy, or else change will be barely visible on the ground.